The British Chamber and FleishmanHillard London are putting together the programme for the chamber’s first ever London Visit this November. James Dowling, Director at FleishmanHillard London, gives us a peek into some of the current hot topics in the UK that will be covered during the visit. The UK is where it’s at. A strong, stable economy outperforming the U.S. and the Eurozone, and a majority Conservative Government freed from the shackles of coalition with the Liberal Democrats. But is all as it seems? The Government is investing in the regional economies with its new Northern Powerhouse, but the economic miracle comes from the only real UK powerhouse, London. There, much of the wealth comes from the financial services sectors and real estate, but also an emerging Tech City in the East End that is rivalling Silicon Valley for innovation and business. And although some deep political issues have been settled for the moment – notably Scotland’s position within the Kingdom and the matter of who governs the UK for the next half decade, further longer-standing ones remain. Most important is the question of Brexit. Although the UK Independence Party failed to win new seats at the General Election, the latest polling shows that a majority of Britons would vote to leave the EU now if they could do so. With the referendum planned in 2017, there remains an uphill struggle for the UK’s influencers to persuade British voters of the need to remain in the EU – or to give them a credible alternative scenario. Either way, there would be a clear immediate political and economic impact on the UK and the remaining EU and Eurozone, too. We are excited to be supporting the British Chamber in putting together a two-day programme of high-level speakers and discussions, which will give chamber members a unique opportunity to learn more about these and other topics setting the business and political agenda in London and the UK. We’re particularly excited to announce that the former EU Trade Commissioner and UK Cabinet Member Lord Mandelson has agreed to speak to us. This high profile guest reflects the standing of the chamber and its membership, and it highlights the importance of the debate on UK/EU relations, whatever the outcome of the referendum. I hope that you are as excited about the visit as we are here in London, and I look forward to seeing you in November. 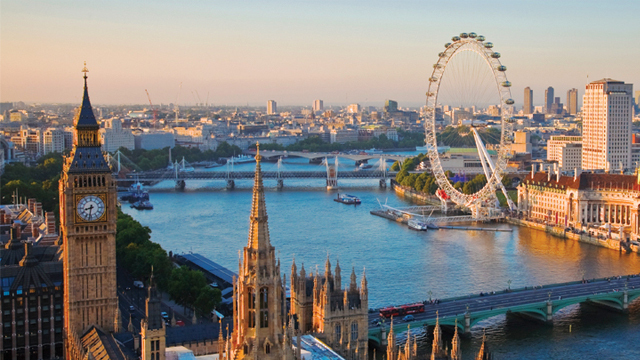 FleishmanHillard London is the official Knowledge Partner for the chamber’s upcoming London Visit. Registrations are now open for the visit, which will take place over the 9th and 10th November. The programme will include lunch at the House of Commons and high-level sessions on themes such as Living Longer, Living Better; High Value Manufacturing (especially relating to the Northern, metropolitan cities); Future Cities; Connected Digital Economy, looking in particular at the buzz surrounding Tech City; and of course UK/EU relations and the upcoming referendum, as viewed from the London side.